GKN Aerospace Achieves Significant Savings with Additive Manufactured Tooling and Prototypes. GKN Aerospace (GKN) is a leading multi-technology tier one aerospace supplier, serving over 90% of the world’s aircraft and engine manufacturers. In the last 30 years, the GKN Aerospace team has also earned a reputation as a leader in additive manufacturing technology for the commercial, military and space markets. The team at the company’s Filton manufacturing site is responsible for producing and supplying production tools and prototypes to multiple areas of the business. 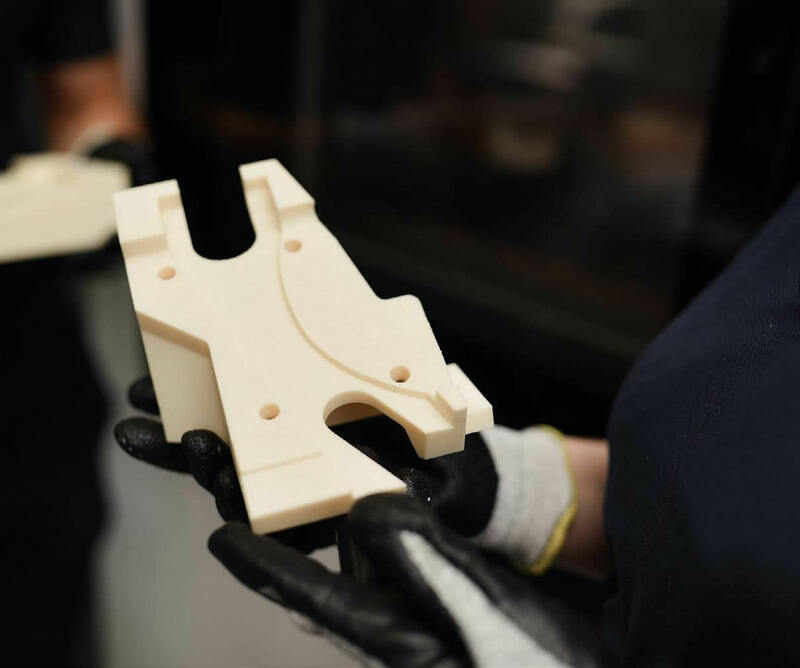 When faced with the need to reduce costly production line downtime, as well as deliver the most fully-functional, ultra-realistic prototypes possible, GKN’s additive manufacturing polymer specialist, Rachel Trimble, turned to 3D printing. Trimble believes the technology is a solution that could meet both objectives as well as prepare GKN for the future. Additive manufacturing tooling produced on one of GKN Aerospace’s 3D printers. For GKN, any halt in the production line is a costly disruption. For example, when a traditionally manufactured tool breaks, replacing it results in a long lead time and high cost. Engineers would typically have to wait weeks for a new tool, a downtime they could not afford. According to Trimble, the benefit of 3D printing removed this burden and improved the responsiveness to the engineers’ manufacturing requirements. In one case, GKN engineers 3D printed small tools to create protective masks used when processing metal parts. Because the masks weren’t commercially available, the backlog of parts needing processing grew. But the ability to quickly print the tools in the correct size to make the masks enabled several parts to be processed at once, alleviating the backlog. It’s not just additive manufacturing’s time and cost savings that GKN enjoys. Trimble believes one of its key benefits is the creative freedom it gives users. Previously, GKN engineers were limited by the economic and physical constraints of traditional manufacturing. Now, teams can create tools that were impossible to produce prior to the adoption of additive manufacturing. This freedom is not just felt in the ability to create designs that were previously impossible, but also in the ability to improve working environments and processes for production line operators. According to Trimble, creating optimized, accurate 3D printed tools without being restricted by size or shape has enabled them to tailor tools to specific jobs and improve the functionality of their operations. In certain cases, GKN’s engineers report a dramatic reduction of 40% in concessions, and some jobs even dropped from two operators to one. 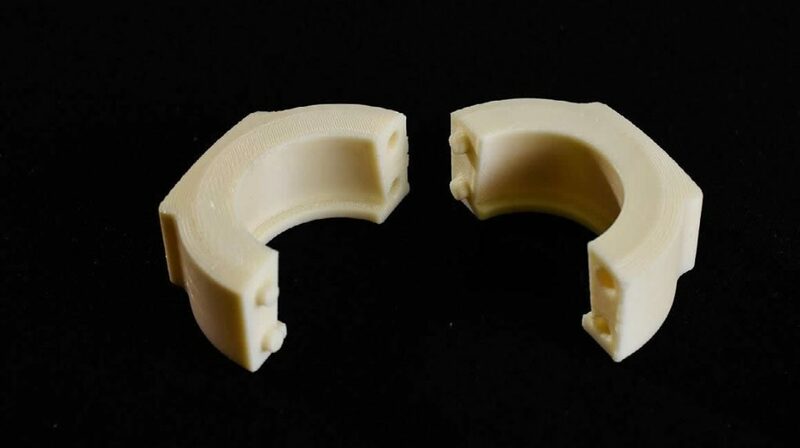 To achieve these goals GKN relies heavily on its Stratasys F900™ 3D Printer. “The F900 offers the largest build size of any FDM® 3D printer, enabling us to quickly produce tools to meet any requirements. We’re already utilizing this technology to design and 3D print previously inconceivable tools, which then enable us to manufacture extremely complex parts that would be uneconomical or just physically impossible by any other means,” said Trimble. size and enables several parts to be processed at once. Trimble anticipates a greater move towards the use of FDM additive manufacturing for high-value, flight-critical, end-use composite parts. 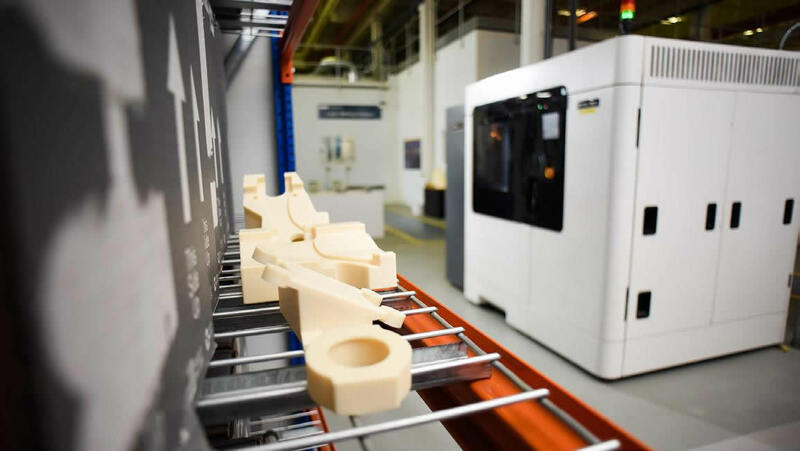 “By harnessing Stratasys additive manufacturing for tooling and prototyping, we are enjoying both time and cost savings, among other benefits, all while simultaneously preparing ourselves for the future,” said Trimble. The Stratasys F900 has ALL that the Stratasys FDM Production family has to offer, on a bigger scale! Carrotwerx Creative Lights Up Architectural 3D Printing in B.C.